An artist's impression exterior view of Frieze Masters. LONDON.- Frieze announced details of the architecture that will house the inaugural edition of Frieze Masters. Employing a design that aims to both literally and figuratively show art in a new light, Frieze Masters is designed by New York-based Selldorf Architects. Frieze Masters will take place 1114 October 2012 on Gloucester Green, Regents Park, London. Showing art from ancient to modern, Frieze Masters will give a unique contemporary perspective on art throughout the ages. Coinciding with, and within walking distance of, Frieze London, the two fairs will benefit from a crossover between audiences of contemporary and historical art. The design of Frieze Masters will employ light and air. High ceilings, natural light, tall silver birch trees and park benches in the public squares and walkways, will give visitors the sense of being in a park setting. The beauty of Gloucester Green and Regents Park will be brought inside through the transparent walls around the cafés and entrances, allowing for a play between interior and exterior space. The space has been conceived to neither draw attention to nor deny the fairs temporary structure but creates specific, individual spaces with walls and ceilings for the galleries. This approach allows each gallery their own architectural space and creates an intimate viewing experience. A refined palette of greys and whites will be employed to not only provide flexibility for the exhibitors individual needs and tastes, but also allow a coherent appearance for the fair. 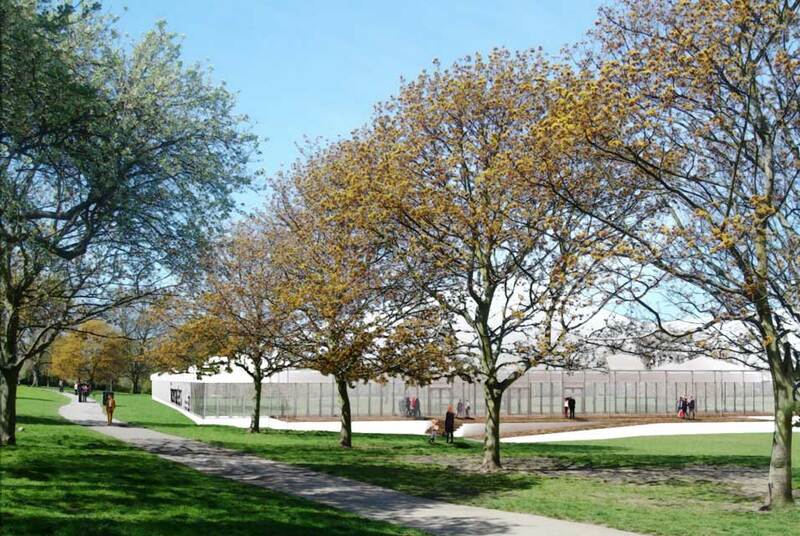 Since the founding of Frieze London in 2003, the design of its bespoke temporary space has been an important feature and the fair has employed a series of internationally recognized architectural firms: Carmody Groarke (20112012), Caruso St John (2008-2010), Jamie Fobert (20062007) and David Adjaye (2003-2005). The first edition of Frieze New York, that took place earlier this year, was designed by SO  IL Architects (2012). Selldorf Architects, based in New York, has extensive expertise in the specific demands of cultural and art-related projects, with significant experience in gallery, exhibition and studio spaces, as well as museums, art foundations and collectors homes. They have designed galleries and museums for art ranging from the ancient to the contemporary; from 19th-century Vienna to 21st-century New York.